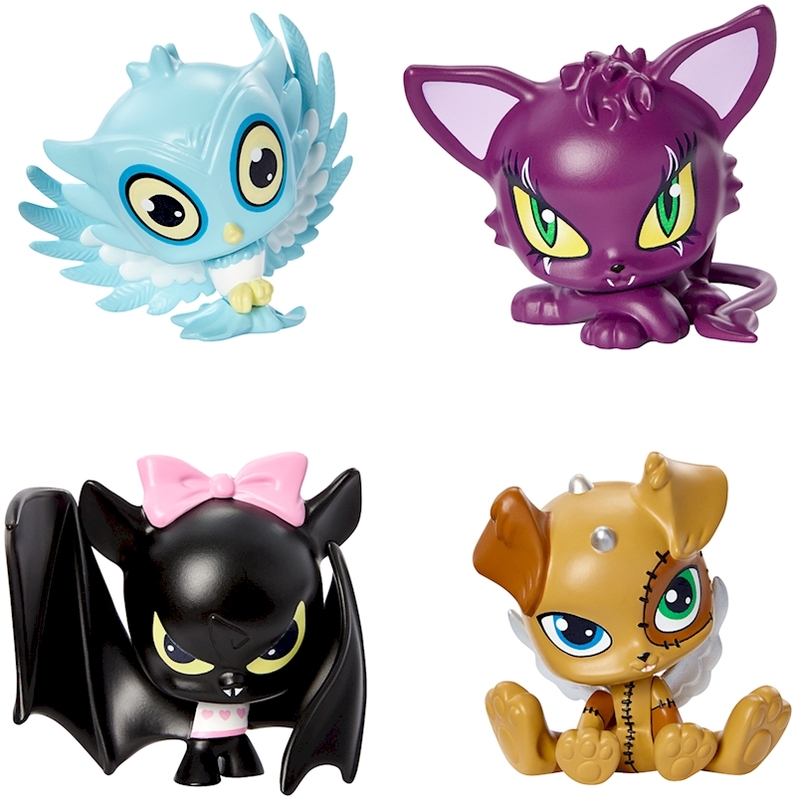 Now, favorite Monster High™ pets join their beast friends in vinyl form! These small immobile figures are easily recognized with signature details and dynamic poses that capture their unique personalities. Big eyes and dramatic expressions make them scary cute. Choose from Watzit™, the mixed-parts pet of Frankie Stein™; Count Fabulous™, the pet bat of Draculaura™; Crescent™, the scary cute kitty of Clawdeen Wolf™; and Sir Hoots a Lot™, the wise owl of Ghoulia Yelps™. Grab your favorite or collect them all! Each sold separately, subject to availability. Colors and decorations may vary.